[GFSD Issue] Package konqueror recommends the use of nonfree software | Trisquel GNU/Linux - Run free! Summary: Package konqueror advises the user to install nonfree programs. 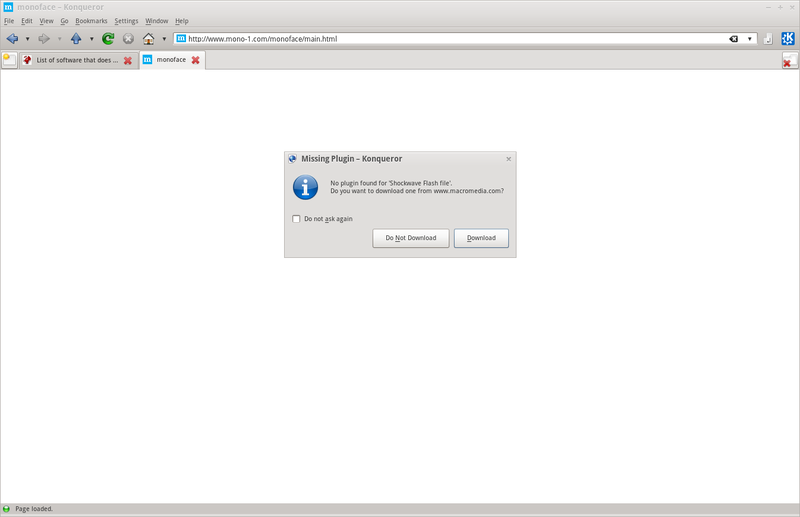 Pop-up will display advising user to download plug-in from site that does not host free plug-ins. Points to the fact that this is fixed in Parabola and gives links to diffs. What is needed now is the helper writing. Package Konqueror needs to be removed from the repositories because of the aforementioned reason. It hasn't been fixed yet even in the current version, so still can be installed through a simple apt-get command. I can't reproduce this on Triskel 8.0. Could someone please post a current link to a website which provokes the error.